By embracing the late Dr. Pagano’s drug-free method, Dr. DeFabio presents an integrative approach to healing psoriasis. As the recognized doctor to carry on Dr. Pagano's work, Dr. DeFabio offers both remote and in-office consultations to those seeking this natural and effective protocol. Hundreds of people have healed their psoriasis naturally with Dr. Pagano's method, such as CNN anchor's Zain Verjee (link). 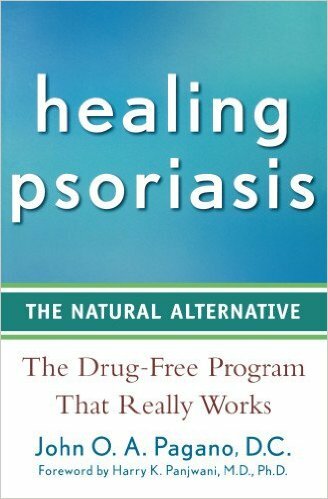 Dr. DeFabio supports the recommendations prescribed by Dr. Pagano in his book “Healing Psoriasis: The Natural Alternative.” Dr. Pagano’s book is a great beginning for anyone who has been diagnosed with eczema, psoriasis, and psoriatic arthritis. Dr. DeFabio’s interview with Dr. Pagano is on YouTube (Link). Dr. DeFabio goes beyond nutritional component in treating this condition by considering the whole body such as pH indicators, levels of internal inflammation and more. To schedule a consultation with Dr. DeFabio, please e-mail the office at [email protected] or call 908.771.0220. Please complete these six forms PRIOR to your initial consultation. I came to Dr. DeFabio with severe psoriasis that covered almost 90% of my body. Based on the late Dr. John Pagano's method of healing psoriasis naturally, and Dr. DeFabio's additional tests, I followed his nutrition plan and got regular chiropractic adjustments. It took me a long time to get the results I wanted with a few ups and downs, but I was determined to stick to the regimen. Dr. DeFabio and each of the staff were extremely supportive and encouraging, which made all the difference in my healing process. I have greatly improved, and I still see Dr. DeFabio regularly for adjustments and nutrition consultations. I also started acupuncture with Amanda, which has been a great addition not only for my psoriasis but for whatever I feel needs fixing at the moment.